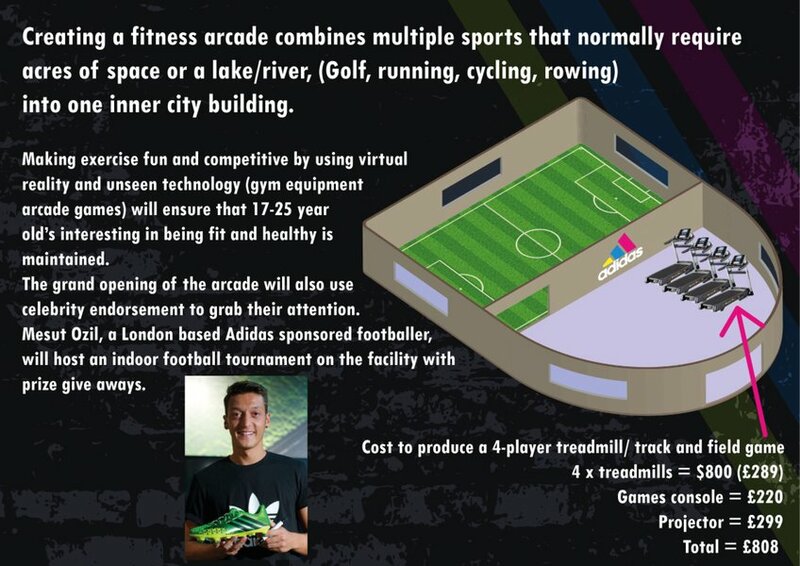 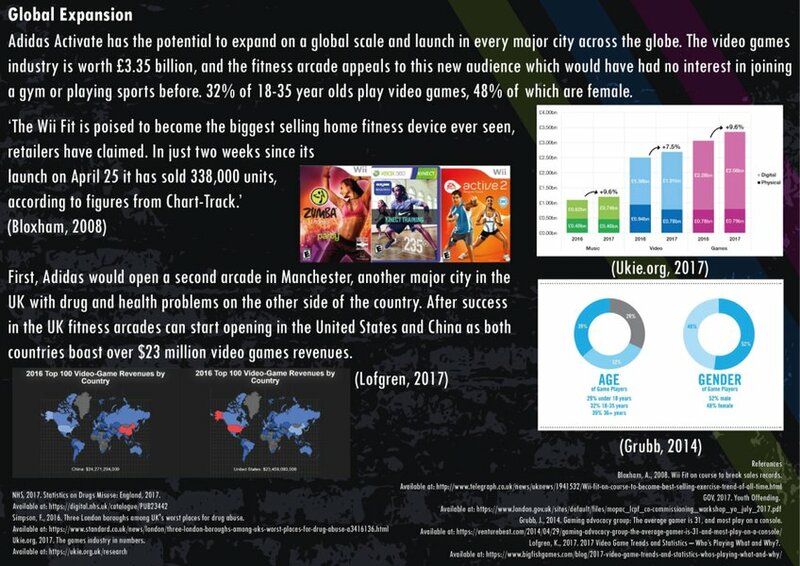 adidas Activate is the world's first fitness arcade, with its very own social media app. 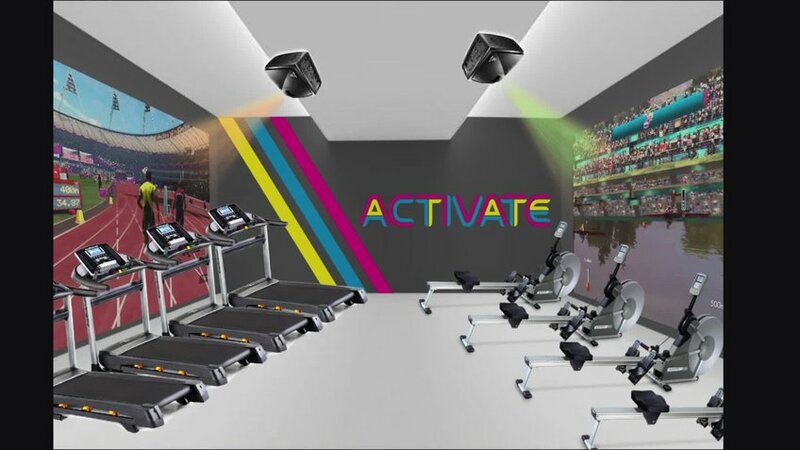 The arcade combines exercise and gym equipment with video games and popular trends like virtual reality. 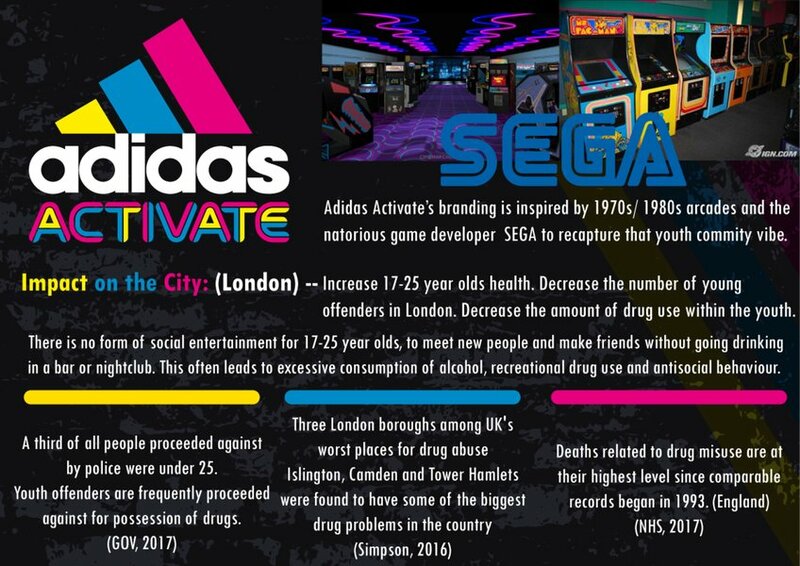 The facility aims to tackle London's health and drug issues amongst 17-25 year olds, by reviving the 1980's arcade community and making exercise fun and trending. 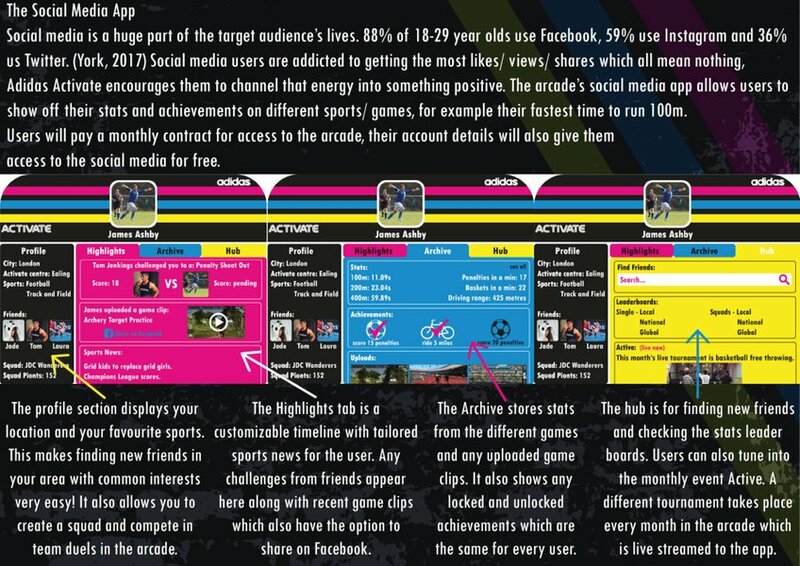 The social media app allows users to find new friends with a common interest, watch live streamed events, share recorded clips to Facebook and challenge friends to competitions in the arcade.